Martin McVicar, the Founder of Combilift in County Monaghan, hopes to be at the helm of a billion dollar business within the next five years. With a manufacturing plant three and a half times the size of Croke Park and the fact that his Combilift company exports to 85 different countries across the world, Martin McVicar expects to be at the helm of a billion dollar company by 2023. 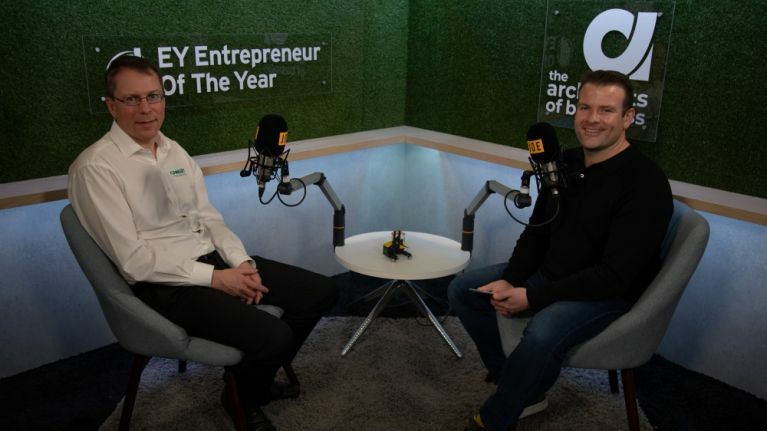 Speaking to host Tadhg Enright on The Architects of Business, in partnership with EY Entrepreneur Of The Year™, Martin explains his plans to keep expanding in his home county of Monaghan. When asked what the next milestone is for Combilift and for Martin himself, he replied: "We've built this new manufacturing plant, our target is to double the business over the next five years. "If you meet me in a year's time, my target's still going to be to do double in the next five years, so it's a very simple message." "So it's a very simple message. Our employees know it. Our suppliers know it. And our customers know it. "That eventually is going to get us to a billion dollar business in the short future." Martin was asked whether the company could achieve their targets even quicker, perhaps by floating on the stock market and attracting investment from outside, but he insists that their focus is on building technical expertise rather than looking to inject a massive amount of cash into the company's coffers. 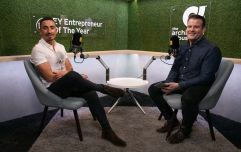 Subscribe to The Architects of Business for free on iTunes, SoundCloud or watch every episode on YouTube.